View More In Pegged Puzzles. 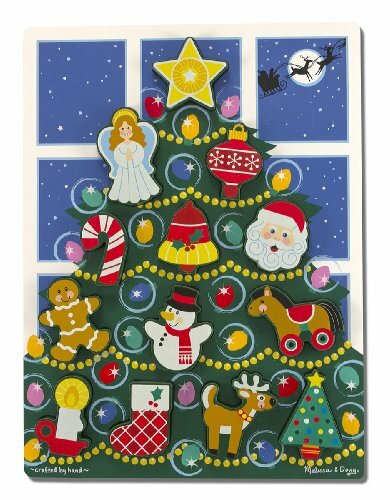 This festive wooden puzzle lets kids trim the tree again and again! Chunky wooden ornaments fit into the recessed puzzle board, painted with matching artwork to assist beginning puzzlers. The 13 puzzle pieces stand upright for counting and sorting activities too!